After watching "Winter" on Brain Pop Jr., you have been assigned to write about the season using some information guide from the video. Describe what it feels like to be outdoors in winter. What do you hear, smell, see, and feel during the winter? Use the online paper provided by Brain Pop Jr. on the 'write about it' button to write your story. BE SURE TO READ IT CAREFULLY and EDIT/FIX any mistakes that you notice. Once you print your work, let me check it, then you can add your comments to the blog. 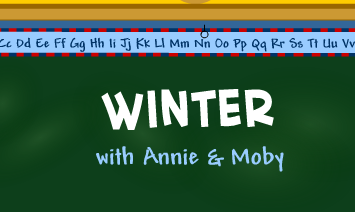 Click on the "Winter with Annie and Moby to see the video again if you need to!